While the frequency of adverse events and resulting litigation in obstetrics is low, errors that do happen are often more catastrophic, severe and emotionally exhausting than other areas of healthcare. Reduce the likelihood of adverse events. 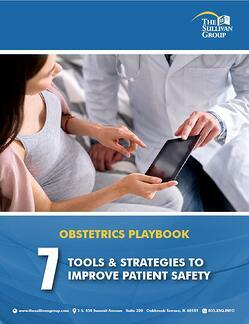 Reduce the incidence of malpractice litigation in obstetrics. Strategies to strengthen clinician onboarding processes, as well as ongoing clinical education and simulation training. Recommendations for the development of guidelines and checklists to improve outcomes. Indicators by which to measure improvements in patient safety. Additional resources to evaluate your department's performance.